NEW YORK—Annoyed with the players’ complete lack of common courtesy, MLB Commissioner Rob Manfred sternly reminded teams Friday to properly dispose of any torn elbow ligaments. “Any discarded elbow ligaments should be tied off in a plastic bag and dropped in the designated receptacles. 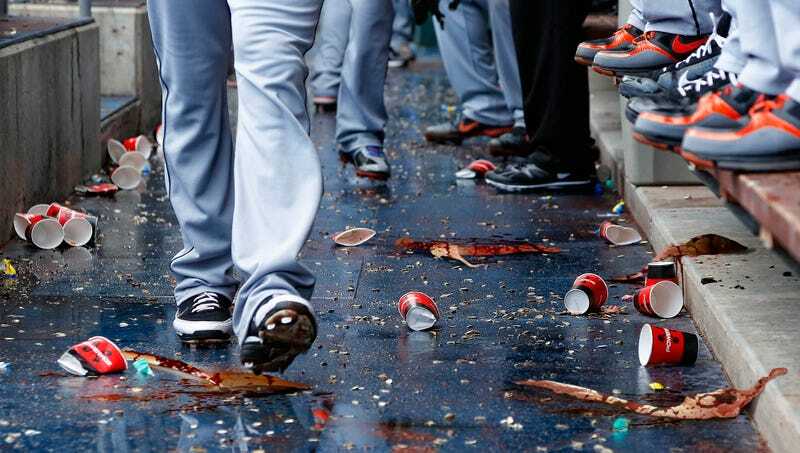 Staff and fans shouldn’t have to worry about stepping in disgusting connective tissues just because someone didn’t feel like picking them up,” said Manfred, explaining that the head groundskeeper at Miller Park recently had been forced to clean up a whole pile of old ligaments he found rotting in the sun. “Not only is it rude, it’s unsanitary—loose ligaments and tendons spread disease while attracting vermin. If you tear an elbow ligament, it’s your responsibility to clean up after it, don’t just toss it out onto left field.” Manfred added that the Mets would be subjected to $20,000 in fines for illegally dumping a container of discarded ligaments in Long Island Sound.